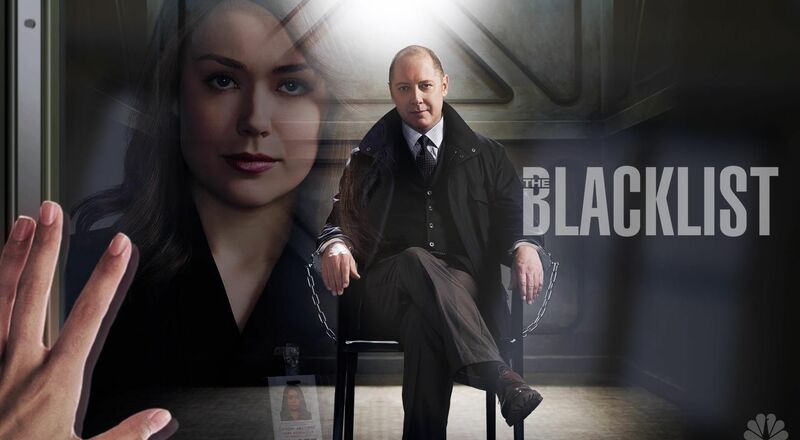 James Spader’s performance as Raymond Reddington caught many by surprise back in September when The Blacklist first aired. His performance on Boston Legal won him 3 Emmy Awards. Yet, as the complicated villain and hero of The Blacklist he truly manages to shine. Raymond Reddington has many secrets, a lot that he isn’t proud of. Too often he hides his true feelings behind jokes and flippant behavior, but when he does open up which he only does to the viewers watching we get a sense that only he understands how we all truly feel. 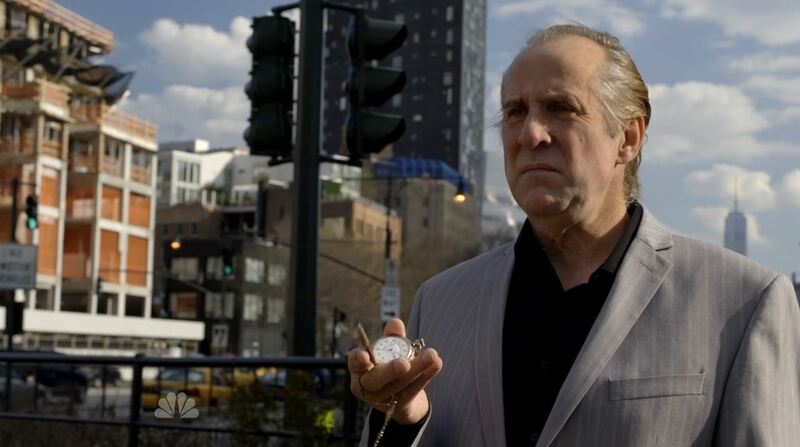 One of the scariest episodes of The Blacklist was episode 4 in which Raymond kills Stanley Cornish AKA The Stewmaker. At the end of the episode Raymond finds a picture of a girl amongst a collection of pictures of all the victims of The Stewmaker. At the time the viewer didn’t know what to make of it. It was nonetheless only a matter of time before the events of that episode and indeed Raymond’s past would catch up with him. It finally has in this last episode of season 1 of The Blacklist entitled ‘Berlin (No. 8) Conclusion’. The episode continues were the last one stopped but between you and me I wouldn’t watch that episode because it was pretty dreadful. I feared that the season finale couldn’t come back from such a disaster but it has. James Spader truly shine as Raymond Reddington. The episode deals with the consequences of the air crash seen in last weeks episode. The FBI quickly conclude it was a secret Russian prison transport from Venezuela that tried to make an illegal stop in the US. The passengers were mostly Russian Maffia. As the FBI tries to hunt them down they are convinced one of them is Berlin, the man who has it in for Reddington. The team suffers its first casualty when agent Meera Malik’s (Parminder Nagra) throat is slashed in a nightclub. She dies later on. The government meanwhile is hell-bent on locking up Reddington despite all his knowledge and his threat that he will reveal their secrets. 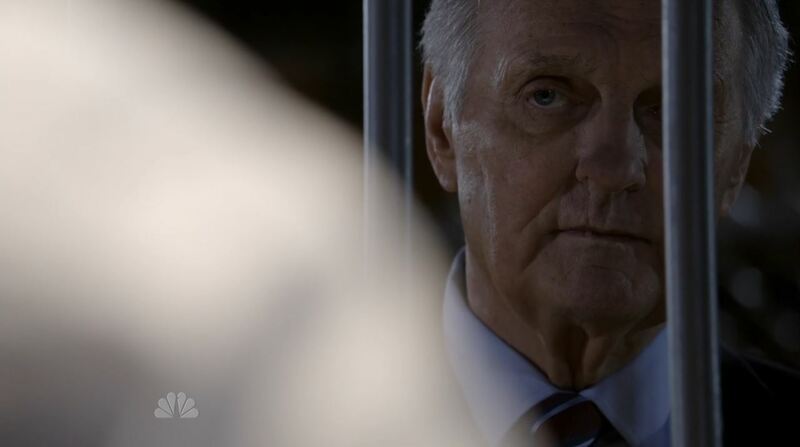 Reddington is visited in prison by Alan Fitch (Alan Alda) who after consideration reconsiders Reddington’s position and allows him to escape. The Russian mobster that have so far been arrested can only reveal little about Berlin. One recalls a story he heard about a prisoner who was betrayed (supposedly by Reddington) and has his daughter send back to him in small parcels. All that had happened at the end of the cold war. This begs the question whether the secrets Reddington revealed may have something to do with Berlin. In which case Alan Fitch is also involved. Reddington hints to this possibility and thus makes Fitch help him track down Berlin. The team suffers a second casualty when Assistant Director Cooper is garroted in his car and left for dead. This unleashes Ressler who begins torturing Russian mobsters. Before Cooper was attacked he deduced it was someone within the government who ordered Reddington’s escape. He seems visibly troubled that the chain of command is not how he thinks it is. Ressler stays with Cooper in the hospital to make sure he isn’t attacked again. Fitch meanwhile discovers where the last Russian prisoner is hiding out. Reddington shoots his way past all of his guards. 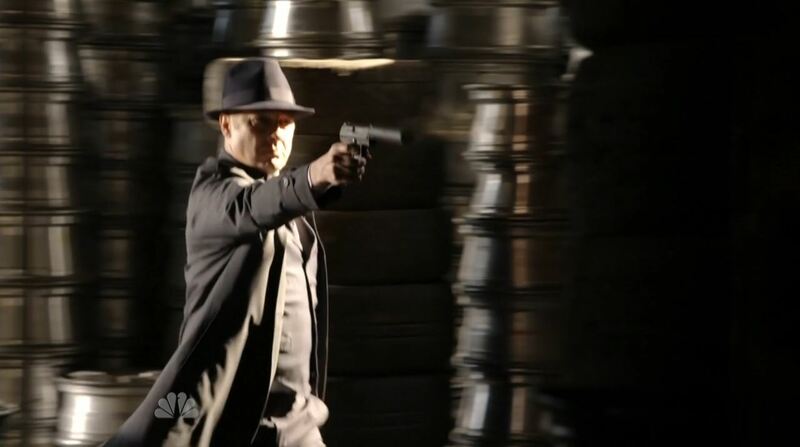 During a conversation afterwards in which Reddington repeatedly shoots him in his extremities the mobster reveals that has only been seeking revenge on Reddington since 2010. Reddington knows the man is not Berlin. Tom Keen stumbles unto the scene with Elizabeth held as a hostage. Reddington then executes the mobster. After a brief standoff Tom Keen shoots Reddington who in return shoots Keen. Reddington seems only grazed while Tom appears dying. Reddington tells Elizabeth to kill him when she leaves. With his apparent dying words Tom reveals a secret to Elizabeth. Meanwhile Ressler and Aram also discover that the mobster isn’t Berlin. Instead the man who cut of his own hand in the crash and who was disguised as a security guard is the true Berlin. At the hospital Ressler finds a dead police officer but no Berlin. Reddington reveals he knows Berlin is still alive, but doesn’t want that revealed. Tom Keen’s body has meanwhile not been found at the Russian mobster’s lair, leaving open the possibility that he is still alive. 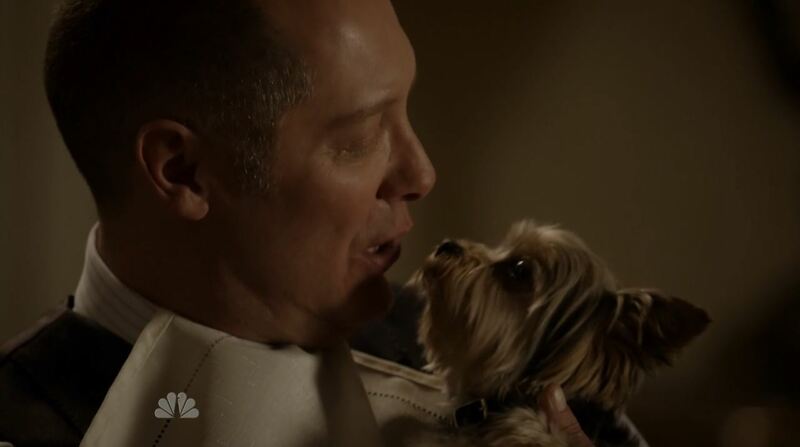 Reddington states that he still doesn’t know what Berlin wants, but assures Elizabeth that her father is dead. In the last seen of the episode the audience can see burn scars on Reddington’s back as he clothes himself, revealing it was him who pulled Elizabeth out of the fire. In his hand he is seen holding the picture of the girl who was killed by The Stewmaker. This episode shows that when The Blacklist is good, it is actually brilliant. 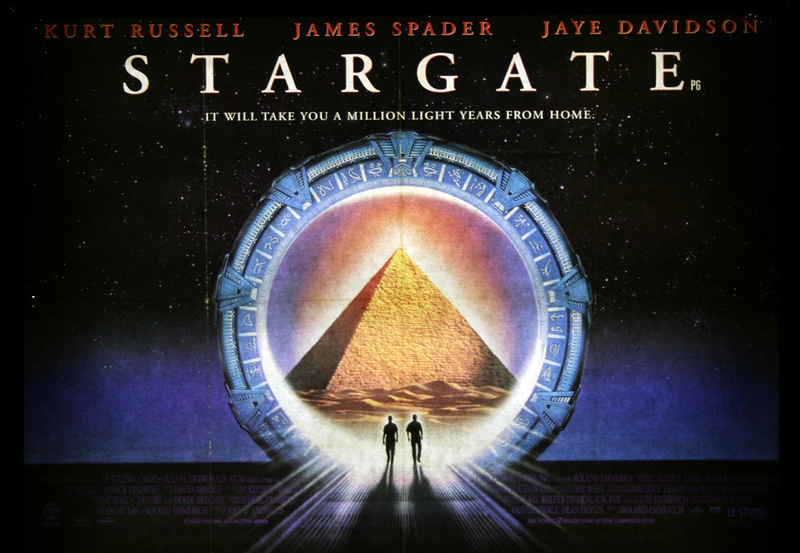 James Spader truly shines when he can. I am a little less certain of Megan Boone, it may not be her acting but her character Elizabeth Keen isn’t always likable. I was pleased with the lack of revelations during this episode. The small tidbits were more than enough to leave us wanting, but frankly Raymond Reddington is a mystery that I prefer never be revealed. It was a sad occasion to see Parminder Nagra being written out of the show, but the Blacklist isn’t afraid to pull punches when it needs to. This episode is not without its flaws. The plot can at times be frustrating to follow but it is nowhere as bad as some of those forced upon us during the season’s second half. The moments of frustration pass quickly anyway. The Blacklist will be back in September for its second season. This was The Blacklist Season 1 Finale – Berlin (No. 8) Conclusion Review. I do apologize for the many blatant typos there were included in the previous version of this post. I had my proofreader plugin switched off by accident. Score; 9.2 / 10. One of the best episodes of The Blacklist concludes its first season.